Object is a cardboard case containing 5 boxes of 2,000 punched cards each. The cards are blank and not preprinted. 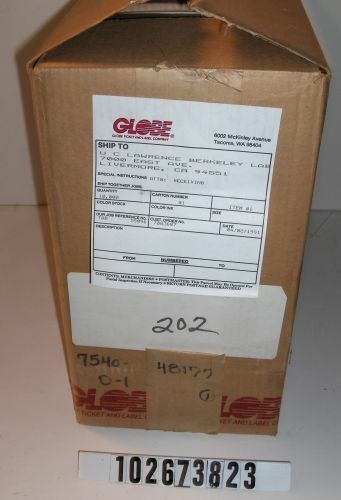 Date of 4-02-1991 on shipping label from Globe to Lawrence Livermore Labs.